If You Stayed Nine Nights In Each Hotel in the Brooklyn Pipeline . . .
. . . You'd be living the hotel life for a whole year, according to an article in the Brooklyn Eagle, which says 40 new hotels are on their way to the borough. We were totally shocked, by the way, to see a new Super 8 Motel on Third Ave. (near President Street) the other day. Kind of a quiet neighborhood for a motel, isn't it? (Everyone in the car said, "What's a motel doing out here?" at the same time.) It's not open yet but the sign is up. When we checked the Super 8 web site, it said the motel is surrounded by a "resort-style" neighborhood. Couldn't wait to see the resort so we checked with Google Maps and found this image of the street in front of the motel (you can see a bit of the motel to the far right). Guess it depends on your definition of "resort." Our definition usually includes a water feature and drinks served in coconuts carved into funny monkey faces. Super 8 is missing the boat here. 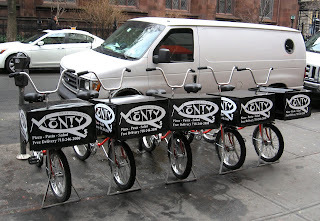 They should market the unique Brooklyn urban experience to be found on Third Ave.: "One block from the South Brooklyn Casket Company!" "Plenty of auto repair shops nearby!" 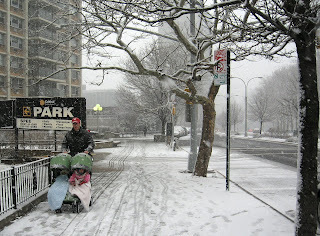 It was just like a real snowstorm yesterday morning -- the driving flakes stuck to sidewalks, covered the grass and blew down the back of your neck. 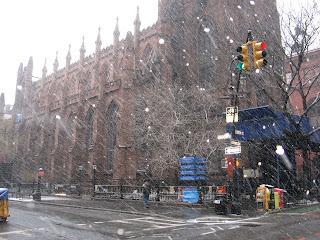 On Montague Street in Brooklyn Heights, St. Ann and the Holy Trinity Church looked the way it looked during snowstorms in the 1840's, when horse-pulled wagons clip-clopped by. Cranberry Street was very quiet. But it was just a little snowstorm. 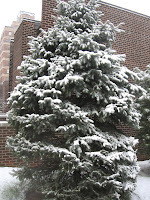 By noon, the white-trimmed tree limbs and soft blanketed gardens were just a memory. 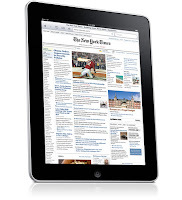 No product can ever live up to the hype that the Apple iPad received be in the weeks and months before its release. Even so, not quite a day after its unveiling, it's occurring to us that the iPad concept is pretty hot. How many times have you left your laptop at home when traveling or just going to work because it's just a pound too heavy and an inch too thick? Just throw an iPad into your bag and there you go: you've got your movies, music, email, newspapers and ebooks on one slim device.You can surf the web or actually do some work (presentations, spreadsheets or even blog posting*). The lack of a lid would actually be a plus on a crowded plane or train. A thin slate is as easy to read as an actual newspaper or magazine. One big drawback: You can't multitask. Also, it's not a phone, a camera or a blender for that matter. And if you need to do a lot of typing, you'll probably want to supplement the virtual keyboard with the keyboard dock or a Bluetooth keyboard. Another plus: Apple's ebook reader allows for color and videos. No more lugging a lot of heavy text books around, and the iPad will help students take advantage of multimedia study guides. "This device has not yet been authorized as required by the rules of the Federal Communications Commission. This device is not, and may not be, offered for sale or lease, or sold or leased, until authorization is obtained." Most likely Apple held off on applying for authorization from the FCC to avoid exposing the iPad to the world before the big announcement. Now, we wait. UPDATE: And here are some reasons you may want to hold off on buying one. * The lack of multitasking will put a serious dent in blog-posting, since you can only have one program open at a time. 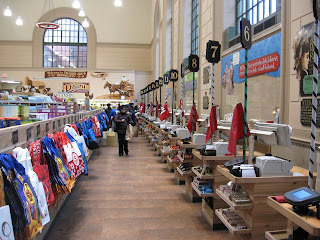 Brooklyn Trader Joe's, 8 a.m. Apparently not that many people know that Trader Joe's now opens at 8 a.m., at least in Brooklyn. The TJ's experience without huge, jostling crowds is somewhat unnerving. But we got used to it. 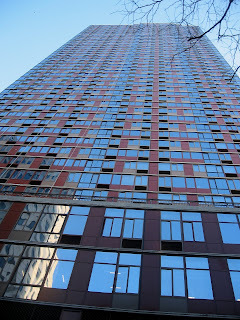 We were walking down Lawrence Street the other day when we ran across the tallest building in Brooklyn. Brownstoner said that The Brooklyner was 20 percent rented as of Dec. 28, and that move-ins were underway. Curbed noted the rather odd banner hanging off the side of the building. Here's the view from the top of the Brooklyner from a helicopter. A taller building may be built soon on Willoughby Street. Citigrass, Piñataland, 2009 Fiddle Champion Rob Hecht, Central Valley Wildfire and Animal Pharm will headline the bill at a special event that benefits the advocacy group “Save Coney Island." The “Gone Country for Coney” Jamboree will be held on Saturday, January 30th at Galapagos Art Space, 16 Main Street (at Water Street) in Dumbo, Brooklyn. The event begins at 3:00 p.m. and runs until 9:30 p.m. The event also features dance performances by the Prospect Cowgirls, country BBQ, raffle prizes and after-concert Burlesque. Admission is $15 before 5 p.m. and $20 from 5 p.m. onward; a raffle ticket is given free with each admission. Save Coney Island is a non-profit organization "committed to restoring Coney Island as a world-class amusement destination" for all. Pace University students who live in the dorms on Henry Street were hanging out in Brooklyn Heights Monday since the city shut down the school -- along with a good chunk of lower Manhattan -- because the strong winds were blowing all kinds of debris off buildings. Several contractors will have to answer to this, according to the NY Times. 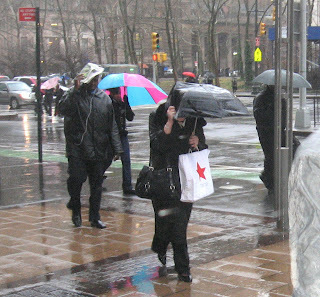 Meanwhile, we in Brooklyn suffered the indignity of broken umbrellas and very wet shoes. It was so windy on certain blocks and corners that people had a hard time walking and had to actually go inside somewhere till it blew over. After last Tuesday's special election in Massachusetts, many Democrats are considering watering down health care reform or abandoning it altogether. 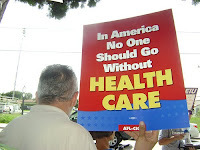 So MoveOn members are organizing an emergency rally in Brooklyn on Tuesday to urge Democrats to show some backbone—starting with passage of a real health care reform bill. The trolley tracks leading towards Fulton Ferry Landing shown in this historic photo (courtesy of the Fulton Ferry Landing Assoc.) 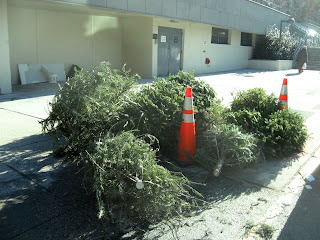 are being dug up and discarded by workers at the end of Old Fulton Street, according to a story in the Brooklyn Paper. The above is from the Brooklyn Eagle, Jan 27, 1889. So many thousands of riders took the trolley to the ferry landing that the tracks wore out and had to be replaced in 1902. The above was published in the Brooklyn Eagle on April 2, 1902. Bob Diamond is quoted as saying, “The tracks must still have at least 25 years of use in them . . . The asphalt is a pretty good preservative. The ones on Old Fulton Street being removed could be used to restore trolley service in Downtown Brooklyn.” Diamond's Brooklyn Historic Railway Association is rebuilding a trolley from Red Hook to Downtown Brooklyn. 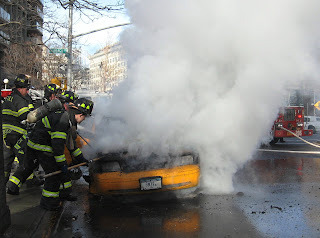 Firefighters rushed up the block to put out a doozy of a taxi fire on Cadman Plaza West near Middagh Street in Brooklyn Heights yesterday afternoon about 2:30 p.m. According to the Brooklyn Eagle, the driver pulled over when he noticed smoke coming from the engine. When he opened the hood, the fire erupted. More details at the Eagle plus check out their photo of the car engulfed in flames (photo2). Lab 24/7 is throwing a great big fundraiser for Haiti this weekend. The event is called “Kombit” which means “to come together for the good of the community” in Haitian creole. Authentic Haitian food will be available, so come hungry! 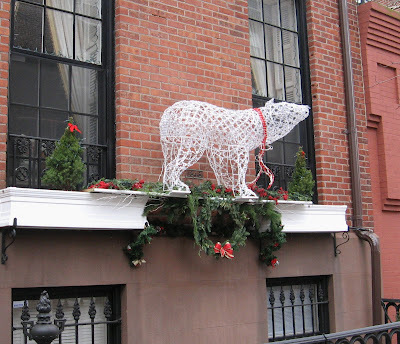 This wire-frame bear on a window ledge on Joralemon Street reminded us of Ursa Major, the constellation which means Great Bear. From Wikipedia: Ursa Major is dominated by the widely recognized Big Dipper, or Plough, which is a useful pointer toward north, and which has mythological significance in numerous world cultures. We'd like to point out this bear's nose is pointing due north. Visit the Brooklyn Royalty blog for the full list of DJs, musicians and other contributors.All proceeds will be distributed equally to UNICEF, American Red Cross and Doctors Without Borders. 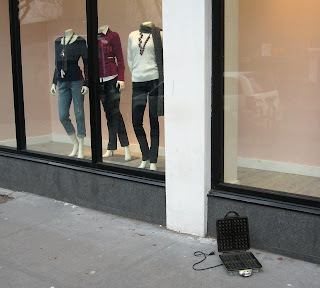 The girls seem intrigued by the waffle iron left on the sidewalk on Montague Street in Brooklyn Heights. 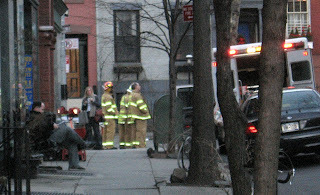 Scene in front of Monty Q's on Montague Street in Brooklyn Heights. Well into the evening, emergency repair crews worked at the scene of Monday's spectacular manhole explosions on Joralemon Street at Willow Place in Brooklyn Heights. 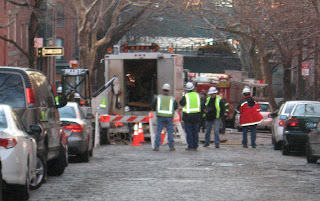 The general picture we've gathered from the sources listed below and from word on the street is that National Grid subcontractors, installing gas service at 25 Willow Place, struck an electrical line causing several manholes to explode near the transit substation on Joralemon Street. - Notification 1 was issued at 1:21 p.m.:. "Emergency personnel are on the scene of multiple manhole fires near Joralemon Street and State Street in Downtown Brooklyn." - Notification 2 was issued at 2:04 p.m.: "Previous manhole fires at Joralemon Street and Columbia Place have delayed or rerouted the 2, 3, 4, and 5 trains." - The next notification was issued at 3:45 p.m.: "Due to previous manhole fires in Brooklyn the following area is closed to vehicles: Joralemon Street to State Street from Garden Place to the Brooklyn Queens Expressway." - At 6 p.m. we received the final alert: "The MTA advises that the 2, 3, 4, and 5 subway lines have resumed normal service." According to the Brooklyn Eagle, about 10 Joralemon Street and Willow Place homes were evacuated. We heard one woman on her cellphone, telling her shocked husband that they might have to spend the night at the nearby church (we're assuming St. Charles Borromeo?). Dangerous levels of gas were still being detected in some homes into the evening. Gothamist has a good coverage of the day's events. 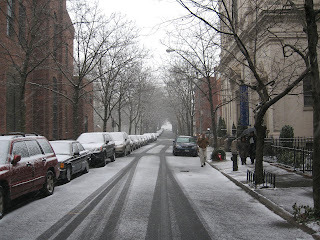 Also visit: the Brooklyn Heights Blog for contributor photos, the Brooklyn Eagle and Yeshiva World News. 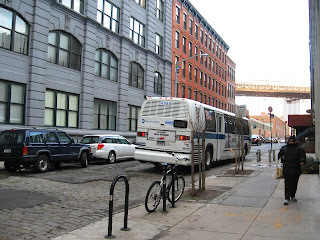 "Will this incident finally prove to the ESDC/BBPDC/DOT — to whomever is necessary — that Joralemon Street CANNOT be a vehicular entrance to Brooklyn Bridge Park?" Today at CastleBraid (114 Troutman St. in Bushwick) from noon to 9 p.m., Brooklyn musicians, artists and others are presenting "Haiti Matters to Brooklyn", an emergency fundraiser/ blow out party for the victims of the devastating earthquake in Haiti. Live music, film screenings, dancing, an open bar courtesy of Brooklyn brewery -- get all the details here. 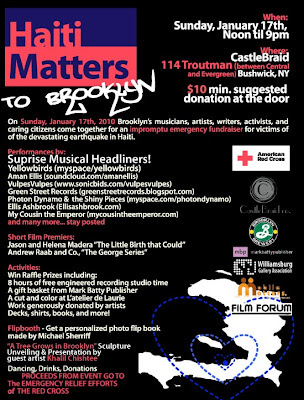 Sunday at CastleBraid (114 Troutman st. in Bushwick) from noon to 9 p.m., Brooklyn musicians, artists and others are presenting "Haiti Matters to Brooklyn", an emergency fundraiser for the victims of the devastating earthquake in Haiti. There will be a raffle of prizes donated by corporate sponsors and local businesses as well as works donated by local artists, live music all day/night, screenings, dancing, and an open bar courtesy of Brooklyn Brewery. All proceeds go to the American Red Cross' Haitian relief fund. Even if you can't make it, you can help: Text HAITI to 90999 to make a donation to the Red Cross.
" 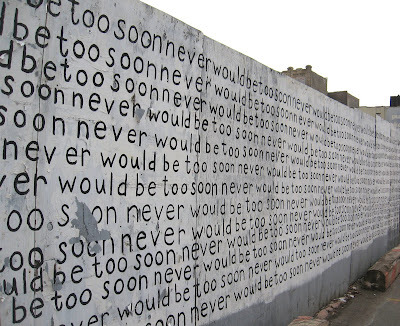 . . .never would be too soon never would be too soon never would be too soon . . ."
On Atlantic Ave. at Boerum Place in Brooklyn. What more could you want in a bar? 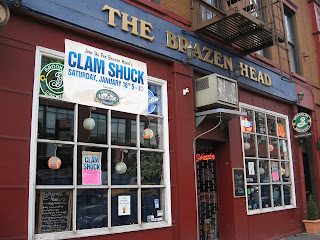 The Brazen Head is located at 228 Atlantic Ave. between Court and Boerum Place, in Boerum Hill, Brooklyn. 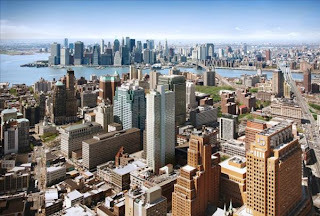 According to Dr. Won-Young Kim, senior research scientist at the Lamont-Doherty Earth Observatory of Columbia University, when an earthquake hits the city, Brooklyn's going to shake more than Manhattan. As reported in the Brooklyn Eagle, Manhattan is resting on rock, while Brooklyn is sitting on sediment. So a tremor you would hardly feel in Manhattan will cause rocking and rolling in Brooklyn. Dr. Kim suggests securing bookcases to the wall and lists other preventative measures. 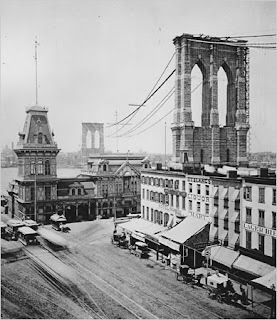 While smaller quakes are common, the last big quake in Brooklyn (about a 5.2) took place in 1884. 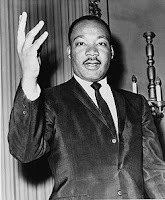 A Martin Luther King, Jr. day of service event called "Bridging Barriers Through Arts and Culture" will take place January 18 from 10am to 2pm at Coffey Park House in Red Hook, Brooklyn. There will be activities for the entire family. Events will include Park Beautification, Community Unity Quilt, Peace Bracelets, History of Martin Luther King and Lunch. 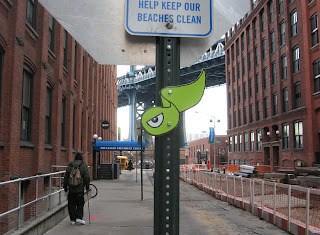 Not sure what it is but it's green and it lives on a pole on Washington Street in DUMBO. There are apparently 30 of them. There have been at least two significant aftershocks since a quake measuring 7.0 on the Richter scale hit Haiti yesterday near Port-au-Prince. Landlines and cell phones are down and widespread death and destruction are feared. 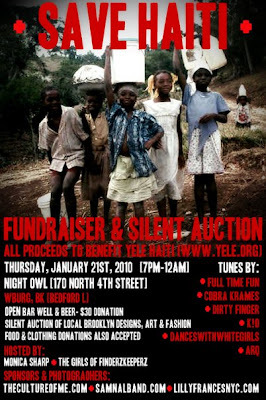 Text “Yele” to 501501 to donate $5 to Wyclef Jean’s earthquake relief fund. Text "Haiti" to 90999 to donate $10 to the Red Cross. "I encourage anyone who is trying to get information about U.S. citizens in Haiti to contact the American Citizens Services at 888-407-4747. In the coming days, I will be working with community organizations and my colleagues in government to assist with relief efforts." UPDATE 2: Brooklyn mobilizes to help Haiti. So this red bird was walking down Cadman Plaza West in Brooklyn Heights the other day, and due to its inability to speak, we didn't know what to make of it. Friendly little feller, though. It flapped around for a while and then flew off. 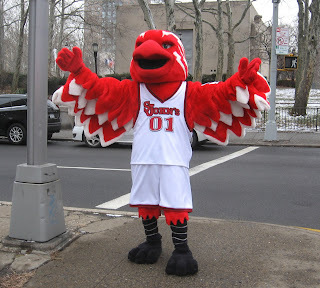 Later, we found out the bird was part of Craig Carton's entourage, on his trek across the Brooklyn Bridge. Other members of the entourage included a marching band, women in bikinis and various Jets fans. Still not sure what the red bird has to do with it all. Did you know that there are so many seniors in Bay Ridge it is a "Naturally Occurring Retirement Community" (NORC)? About 43 percent of households there are headed by people over 60, according to the Brooklyn Eagle. Seniors in Bay Ridge are upset and worried. The MTA is acting like bus lines in place since the 1940s (like the B37) are suddenly a luxury, not a necessity. Can it be that New York City can no longer afford the basic services -- transportation, education, sanitation -- that has made it work as a city all these years? What's next -- rolling brownouts? 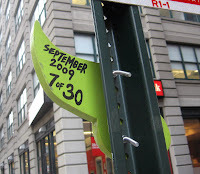 The people who brought you parking spot locating via text-messaging in Park Slope, Brooklyn -- Roadify -- are expanding their services to include real-time bus transit information. The new service, BusesAroundMe (BAM) will launch in a couple of week, Dan Robinson, a member of the Roadify team, said in an email to McBrooklyn. They're starting with the B67 route, which seldom sticks to its published schedule. People using the service will text something like "getting on the bus at 7 st." Roadify has the official bus schedules in their system and members farther down the line will receive something like, "2 mins ago bus at 7 st. 10 mins behind schd." Both the parking and the bus service are completely free and will always be free, says Robinson. Visit the Roadify web site to join. - Improv Everywhere's No Pants Subway Ride went off without a hitch yesterday, with roughly 3,000 participants. Liev Schreiber and and Scarlett Johansson will star on Broadway in Arthur Miller's "View From the Bridge," a hard-boiled drama set in 1950's Red Hook. Called "Miller's most passionate and provocative play," View From the Bridge is set to open Jan. 24. Gawker's Richard Lawson was impressed by the previews -- ". . . one of the better productions I've seen on Broadway so far this theatre-year" -- and proclaimed, "Scarlett Johansson doesn't screw up once!" 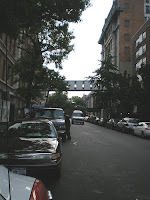 Arthur Miller, considered to be one of the greatest dramatists of the twentieth century, lived for many years in Brooklyn Heights. Average temperatures for cities in the northern hemisphere this winter are on track to be the lowest in more than 30 years, said Joe Bastardi, the chief meteorologist at AccuWeather Inc. in an article today in BusinessWeek. Jim Rouiller, the senior meteorologist with Planalytics Inc. said that a blast of cold following today’s snow will bring the coldest temperatures of the season to the Northeast and Mid- Atlantic. That may mean “dangerously cold” wind chills over large parts of the Northeast. More here. According to the National Weather Service, a light snow will develop before Friday morning's rush hour and will continue into the day. Roadways may become snow covered; allow extra time to reach your destination. 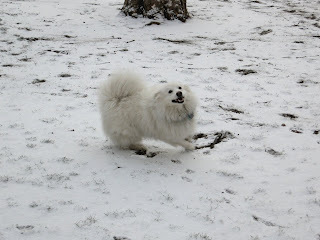 A total accumulation of one to two inches is expected. 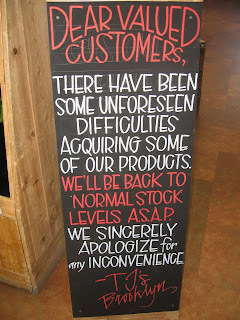 We tried shopping in Trader Joe's right before Christmas. Whoa! Words can't describe the mob. We never actually got into the store. Went back yesterday and discovered that the store is still out of quite a few items -- whole wheat pita and frozen Naan bread, for example. This post on the Pardon me for Asking Blog provides photos of the even emptier shelves earlier this week. Anyway, we recommend the new early 8 a.m. shopping hour. The store was blissfully uncrowded and the lines almost nonexistent. We loaded up on the items they did have, including some pretty convincing imitation meat stuff, crab cakes and vegetable gyozas. Shimmer in the cold hard light. This sounds remarkably like the Time Warner Cable / Fox kerfuffle we experienced recently, where Fox threatened to pull their shows unless Time Warner coughed up more money. This time it's United Health Care vs Long Island College Hospital. Because of a disagreement over fees, tens of thousands of United Healthcare customers — mainly those using Oxford — may not be able to be reimbursed for medical services at LICH, Beth Israel Hospital and other Continuum hospitals, according to the Brooklyn Eagle. What to do if your doctor is affiliated with LICH or another Continuum hospital? Continuum provided some answers to the Eagle. - Sucking Long Island Collage Hospital Dry? Google unveils its new Nexus One smartphone here. More details about the Nexus One here. Joshua Topolsky has written an excellent, in-depth review on Engadget of Google's new Android-based smartphone, the Nexus One. The "Google Phone" has been eagerly awaited by those who look forward to its official announcement today at an "Android Press Gathering" in California. - 5 megapixel camera with flash takes sharp, detailed photos. - No multitouch. One finger only. - No physical keyboard like the Droid has. Bummer. - Pricing: $529.99 unchained, or $179.99 with a two-year agreement with T-Mobile (this is based on leaked documents and may change). Read the full review -- slathered with photos -- here. According to TMO News, the Nexus One can be ordered through Google only as of Jan. 5 at 9 a.m. UPDATE: The Nexus One website is HERE. Would You Pay Fox a Dollar a Month? Take the Poll! Would you pay a dollar a month extra to watch shows (House -- American Dad -- Family Guy -- Glee) on Time Warner Cable that Fox supplies for free over the air and online? Fox and Time Warner recently settled their little argument about what Time Warner will pay Fox for its programming. Now we're waiting to see what the bill will be. Let us know what you think -- Take the poll on the sidebar to the right, under the long ad. We'll tally the results next week. Would You Pay Fox a Dollar a Month? Beginning Sunday, January 17 at 11a.m., the faithful are invited to the OPEN SOURCE gallery for the cHURCH OF MONIKA. The cHURCH OF MONIKA's mission is to use art as a surrogate for religion. They say they take "a non-denominational and tolerant attitude in our journey through life and our hope is to build an alliance with people of all faiths and world views. We suffer no delusions of grandeur, but seek only to inspire and be inspired by the art of life and community." The “Church” will be a moderated town hall type of meeting rather than a sermon with topics varying each week. Snacks and coffee will be served. On Jan. 17, Lily White will take the pulpit. On Jan 24th, The Union Street String Band will lead the inspiration. Open Call: artists, writers, etc. Will the stock market go up this year? What will Tiger Woods do next? Will stiletto heels come back into fashion? 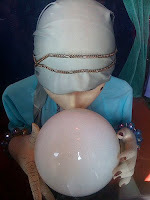 - Tweeter Regular Ron predicts, "Joe Biden will step down as VP." It turns out that famous Brooklynites have also made predictions for the year 2010. In an article in the Brooklyn Eagle a number of Brooklyn residents -- from Borough President Marty Markowitz to Judy Stanton to Karen Auster -- share their revelations about the new year. BP Markowitz predicts, among other things, that "the shovels will hit the ground on the Barclays Center/Atlantic Yards project" and "Asbestos removal at Loew’s Kings Theater will get underway, bringing the famed theater one step closer to a new life." Harold Egeln at the Eagle predicts that Mayor Michael Bloomberg will make a bid to buy the “gingerbread house” in Bay Ridge, up for sale at $12 million. Read more Brooklyn 2010 predictions here. You may have noticed that Fox programming is still being shown on Time Warner Cable. According to Marketwatch, Reuters and WPIX a deal has been been reached, but no one is saying how much Time Warner has agreed to pay Fox for the "privilege" of broadcasting their shows. We're told that Fox (owned by News Corp.) wants a dollar a viewer, per month. Naturally, whatever Time Warner pays Fox, it will eventually end up on your bill.